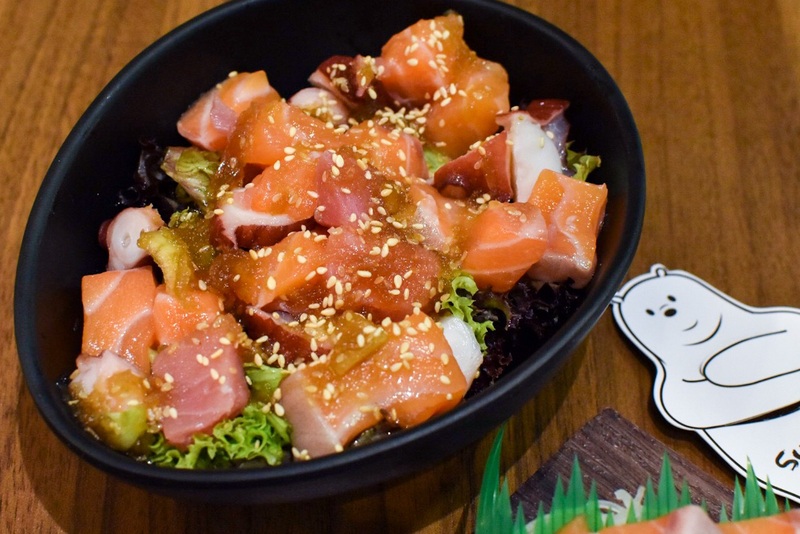 You just have to add a few coins to that red note ($10) to get yourself a bowl of chirashi don topped with generous cubes of sashimi and ikura. It’s rare, isn’t it? It’s too good to be true, and that also explains the crazy line at the back of Thomson Plaza, the once neglected building known only to the residents in the area. Yes, I didn’t even know where Thomson Plaza was, if not for Sushiro. And the number of tries that we took to actually have a meal at this humble eatery? 2. Plus that 45 minute queue. Gosh, all that queueing.. Am I back in Japan again? On our first attempt, we visited them at about 8pm on a fateful Sunday and business was so brisk, they ran out of sashimi to serve. We made a return trip the following Sunday, and guess what? We had to stand in line for 45 minutes even though we arrived just 5 minutes after they opened for dinner. I cry. 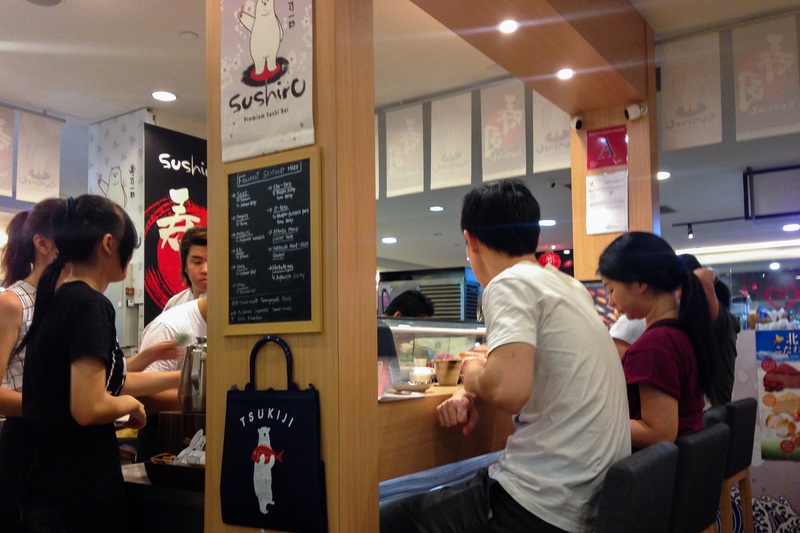 Located on the first floor of Thomson Plaza, it is hidden deep within the level, just opposite Koufu. 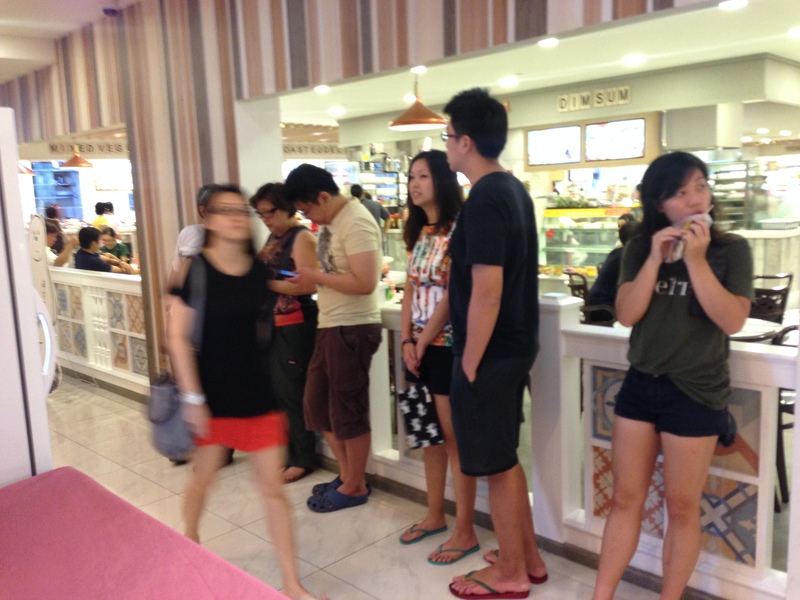 This line along the outside of the food court is a common sight. 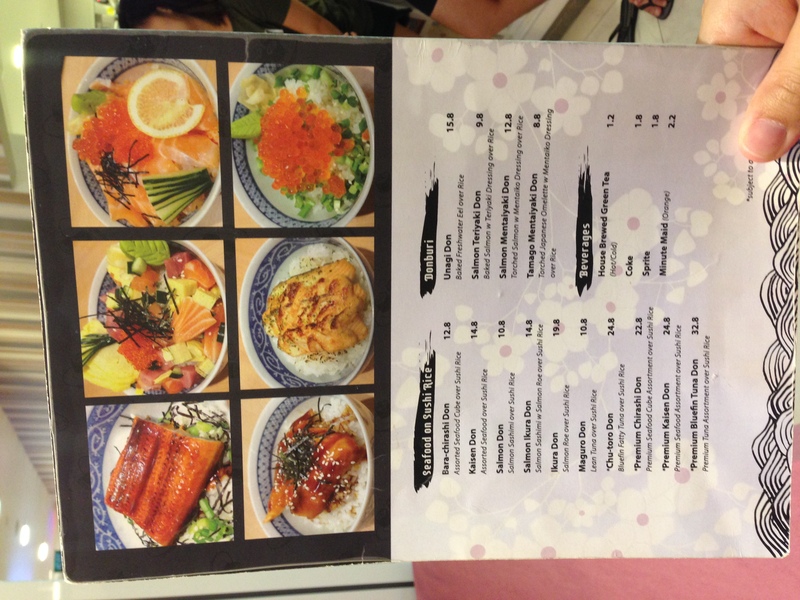 One of the main reasons why there’s such a long queue, it’s not just because of the super affordable chirashi don, it is also attributed to the really small 15-seater space Sushiro occupies. Yes what you see is what you get. That’s all to it to Sushiro! They’ve got empty spaces for rent to the left and right of them, so let’s just cross our fingers that they would expand to alleviate the crazy queues! 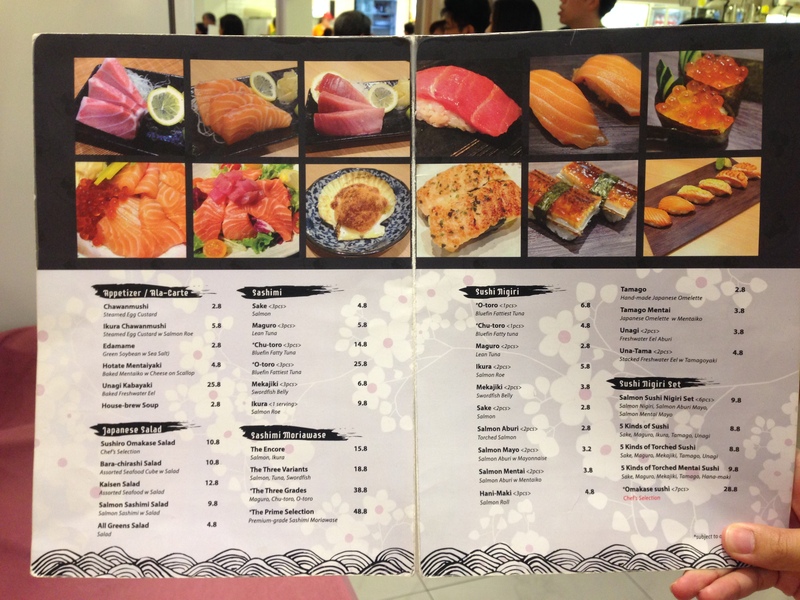 Besides their dons, they do also serve up sashimi, sushi platters, and very much the usual Japanese stuff. You’ll begin to realize that their barachirashi dons are the only really affordable ones on the menu, while the rest of their offerings were relatively well-priced but not as ridiculously cheap as you’d expect based on the expectations the bara has set. On an unrelated note, they have a SUPER adorable polar bear mascot, and their paper chopstick holder is got me squealing like an excited 5 year old! Bara-Chirashi Don ($12.80) Of course, we had to have a barachirashi don. 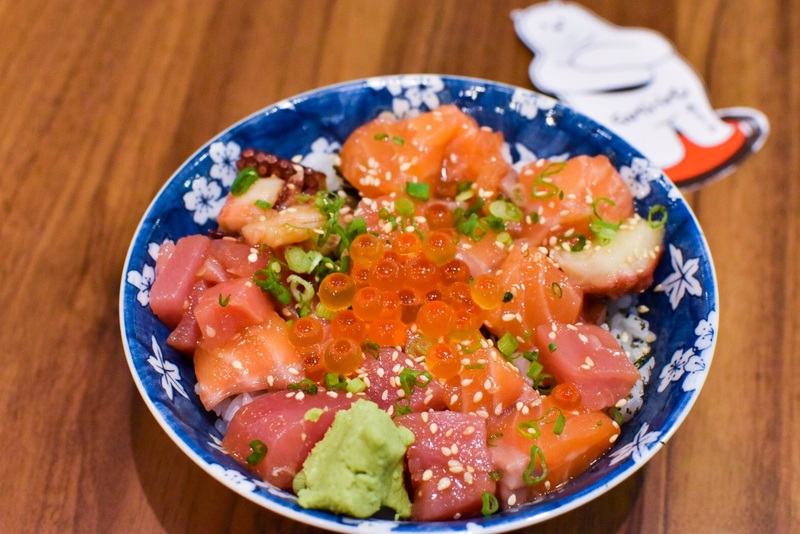 In this bowl you could expect rather generous amounts of salmon, tuna, ikura and octopus. My partner thought this bowl was comparable to the size of a small bowl from Teppei which cost $8.80! He also preferred the one from Teppei, probably because of the marinate used. In my opinion, I thought Sushiro was a little more heavy handed on the sesame sauce in their marinate. Don’t get me wrong, it’s great, but it leaves that uncomfortable sesame after taste after the entire meal. Nonetheless, the chunks of sashimi were on point and really generous. Bara-Chirashi Salad ($10.80) This is similar to the don, except it’s salad, and it doesn’t have ikura. I had this, and this was something I thought was really really affordable at just $10.80! 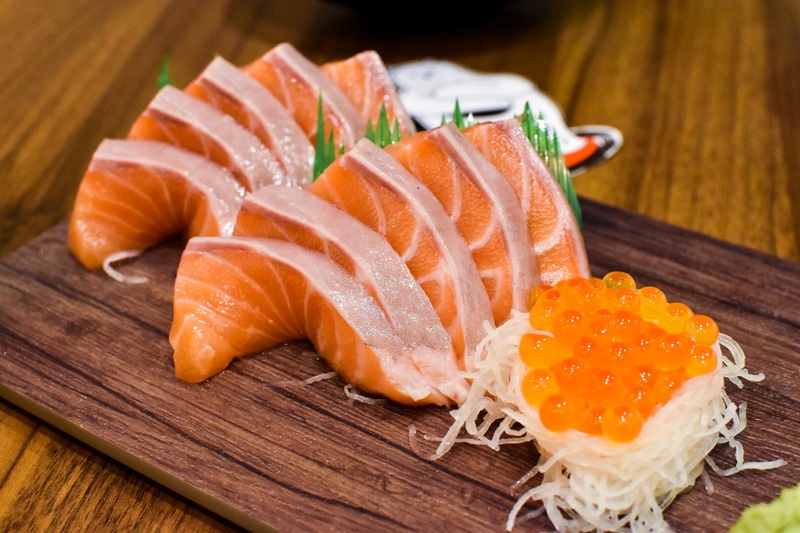 Especially great when I want my mix of sashimi without the heavy carbs! The Encore ($15.80) The encore indeed. 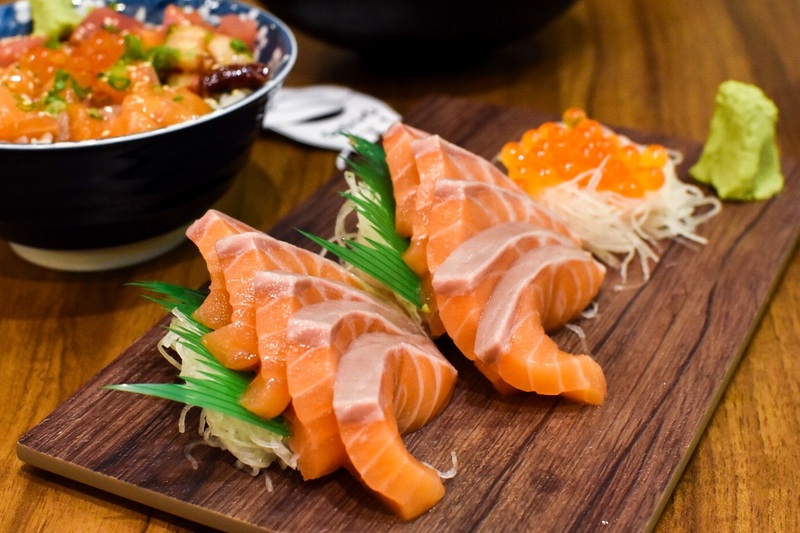 We already had our fill of salmon sashimi and ikura in our bowls, and this was just reinforcing everything good about the sashimi. Look at how thick the slices are, and for just $15.80? That’s relatively affordable! SUPER GENEROUS AMOUNTS OF IKURA and ah, the sashimi was so satisfying. I don’t think I can ever say the sashimi is fresh in Singapore after my 2 trips to Japan (#snob), but this was okay lah, not too bad. HEHE! 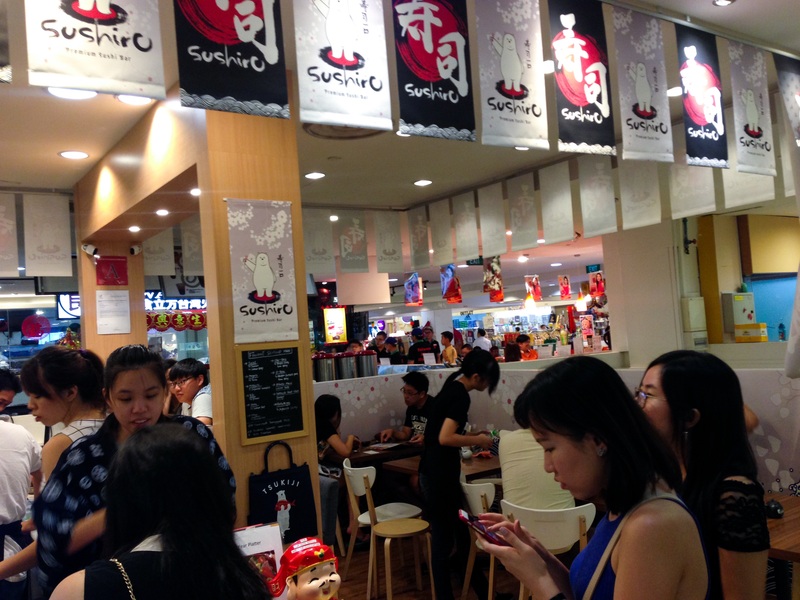 Aside from the inconvenient location, I thought Sushiro is a great spot if you are looking for a place for an affordable Japanese feast! Be prepared to queue if you’re intending to head there for your meals, because they are only opened during lunch and dinner hours, there’s practically NO non-peak hours. Otherwise you could head down earlier, but that means you still got to wait in line right? Haha! Also, we experienced really curt and verging on rude service from the quite chio server. Haiya, face so chio, don’t spoil it with the bad attitude lah. I mean we know you’re busy, but just a reminder, you’re in the service line and we don’t owe you anything. Pfft.